Preview the fabulous video online of this exclusive and private luxury river front home-site with deep water dock access on the Tolomato River. This ultra-private approximately 8.75 acre gated estate property has approxmately 513 feet of spectacular river frontage, with deep-water dock availability and abuts a gorgeous pristine beach with soft, white, silky sand. The unsurpassed waterfront and sunset views make this one of the most unique, magical, and desirable pieces of property that still remain in Northeast Florida. 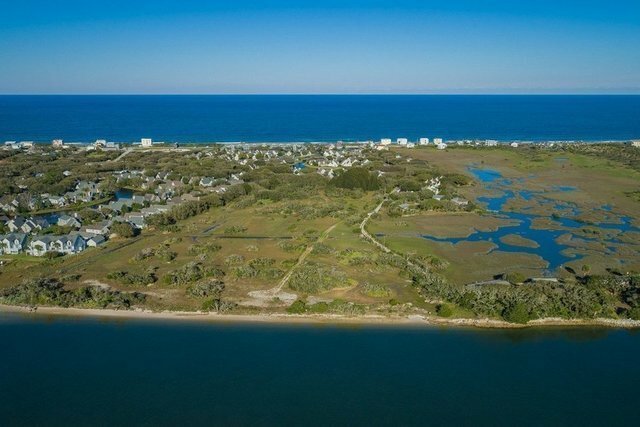 This breathtaking stretch of pristine riverfront property is nestled along the Tolomato River and less than a ½ mile walk or bike ride to the oceanfront beaches. For boating enthusiasts, the St. Augustine inlet is less than a mile away by boat. The property is only minutes from downtown St. Augustine and a short 15 minute drive along the Coastal Highway of A1A to renowned Ponte Vedra Beach with its fabulous golf courses, resorts and fine dining. The property is also less than 10 minutes away from the St. Augustine Regional Airport for those who prefer private air/jet travel. This is a once in a lifetime opportunity to own 513 feet of private riverfront on the Tolomato River where you can build your dream home on this incomparable site. Enjoy magnificent sunsets and gorgeous panoramic vistas of the half-mile wide river and the surrounding protected nature preserve that are home to manatees, dolphins, birds and other wildlife. This property is the ultimate in peaceful seclusion offering the exceptional quality of life you deserve.